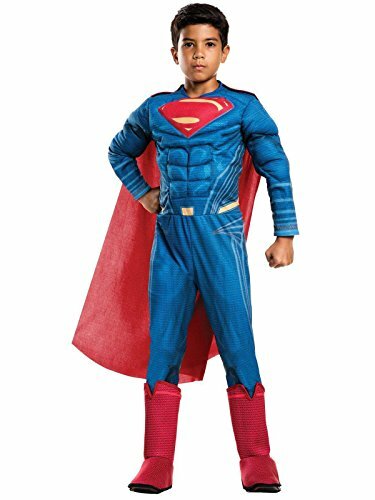 Product Description Man of Steel presents Superman's origin story, that of Clark Kent/Kal-El who came to Earth as a child from Krypton and has trouble fitting in with his secret superpowers. Rubie's Costume Company is pleased to bring you the licensed costumes and accessories you want for movie premiers, parties, dress-up, and even Halloween. 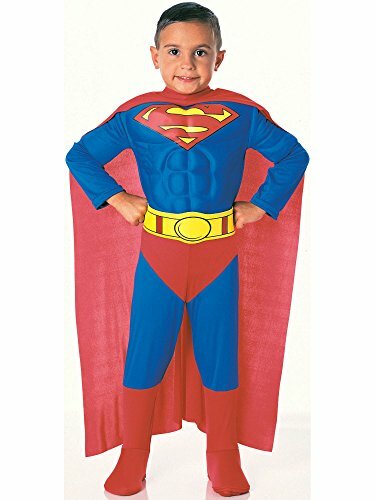 From the Manufacturer Man of Steel presents Superman's origin story, that of Clark Kent/Kal-El who came to Earth as a child from Krypton and has trouble fitting in with his secret superpowers. Rubie's Costume Company is pleased to bring you the licensed costumes and accessories you want for movie premiers, parties, dress-up, and even Halloween. 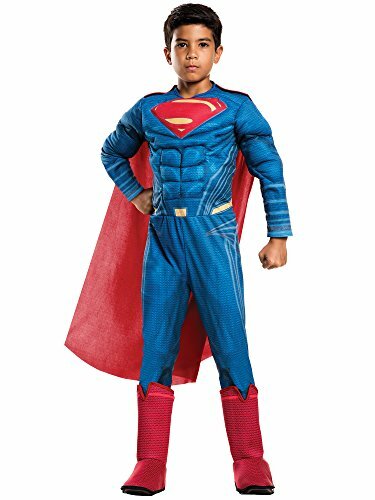 Blue jumpsuit with S insignia attached Muscle chest and red boot tops red cape and red and belt. It's a bird! It's a plane! 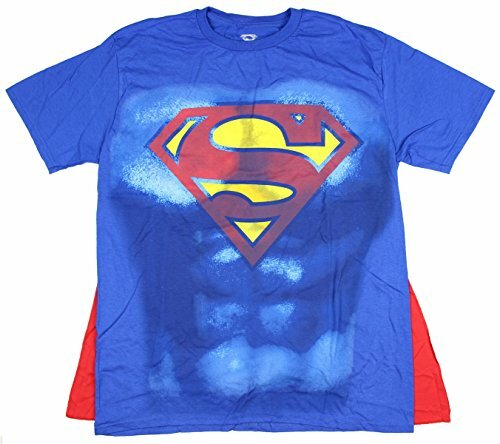 It's Superman, the most recognized superhero of all time. 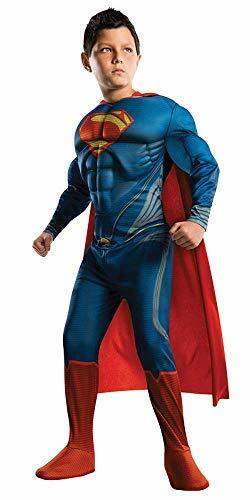 While technically an alien from Krypton, the Man of Steel is known for his ability to leap buildings in a single bound, use his ex-ray vision to see through structures, and blast evil villains with his heat vision and cold breath. 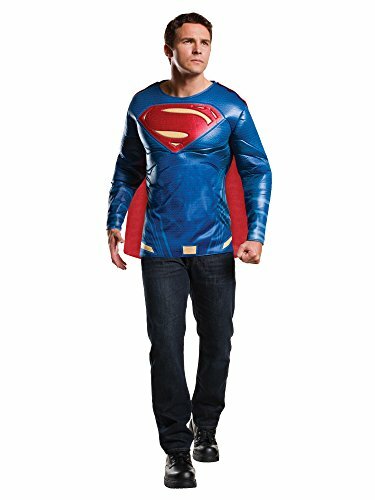 Suit up in this Superman t-shirt with detachable cape. shirt is made of 100% cotton.